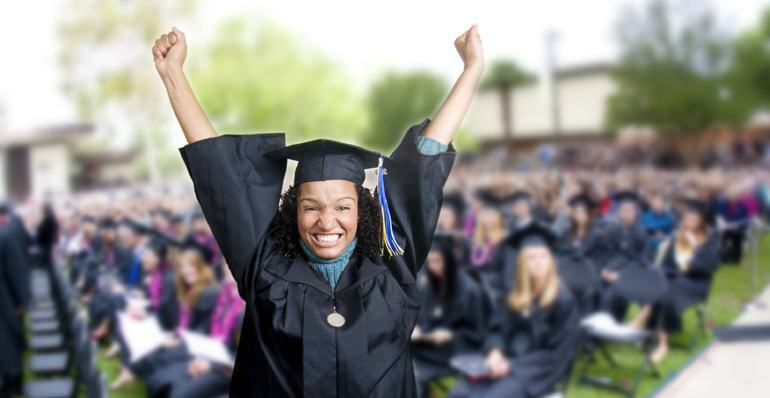 A graduation marks one of the most significant milestones in a person’s life. Not only is it an event that celebrates a major accomplishment, but it also symbolizes a new beginning. Basically, a garage filled with distant relatives eating cake and potato salad just will not do. Try these unique themes that will help you throw a graduation party that’s sure to go down in history. Most graduations happen in the warmer months, and if that’s the case for your party, why not commemorate the occasion with an epic water gun fight? You can pick any local outdoor park for the setting; just fire up the grill, decorate some picnic tables and furnish all of your willing guests with the water-propelling weapon of their choice. Make sure to include both the classic plastic “pea-shooter” water guns as well as the more sophisticated Super Soakers for those who want to go full-on Rambo with their assault tactics. Consider using water balloons as “hand grenades” as well. Make sure to bring plenty of cameras, and assemble some of the most hilarious images into a scrapbook for the graduate to keep. If your graduate is pursuing a career with an international bent (e.g., business, politics, language, etc. ), that’s a great reason to throw a graduation party with a global theme. You can set up each table to feature a different country for its theme, and then serve a wide variety of international fare. Hang up large maps on the walls, and play an eclectic mix of music from all over the globe. If you want to take it a step further, create invitations that look like passports! Few experiences are more memorable than the first time you ever try an escape room adventure. In this heart-pounding game, participants are locked in a themed room in which they will have to solve a series of mind-bending riddles and puzzles to find the key that will unlock the door to their freedom. Houdini’s Room Escape, the premier Cincinnati escape room experience, offers three unique escape rooms that will be sure to test your graduate’s mystery-solving skills. The venue also features a multi-purpose room that can be reserved for events such as open houses, birthday parties, etc. ; you can use this room to host a “post-escape-room party” complete with cake and other refreshments. This combination of good fun and good food will create an unforgettable experience for the whole group. More than likely your graduate will have at least a couple of close friends from their graduating class, so why not join forces and throw a combined party for all of them? It’s a great way for parents to save money on food and party supply costs, and it will definitely create an atmosphere of fun and friendship all around. Just work together to share the food and decoration duties (keeping the menu simple), and remember to take tons of pictures. After graduation, life takes an entirely new turn, so it’s important to mark this important occasion with an event that will be fondly remembered. Use the ideas above to help you throw a graduation party that will provide plenty of fun and great memories for everyone!